Pottstown family fighting back after gunman opens fire on home. Walter Perez has more on Action News at 6 p.m. on April 10, 2019. POTTSTOWN, Pa. (WPVI) -- A Montgomery County family is back home for the first time since their home was shot up last month. The Samba family said they felt safe returning Wednesday after police made two arrests. Ahnile Fountain and Makael Bevins, both 19 years old, face a list of charges including attempted murder. 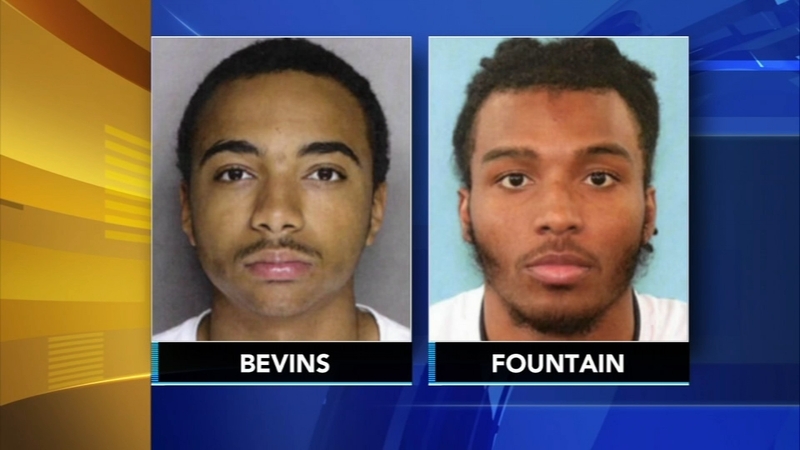 Arrest warrants issued for men who allegedly opened fire on Montco home. Sharrie Williams reports during Action News at 4:30 p.m. on April 4, 2019. Family members said their horrifying ordeal was the culmination of months of bullying endured by 13-year-old Jasmin Samba. Marie Samba told police a group of girls came to their Pottstown home on March 24 and taunted her daughter, following weeks of harassment at Pottstown Middle School. She said, ten minutes after the girls left, the bullets started hitting the house. Fortunately, neither the parents nor the five children home at the time were hurt. The Sambas said they have been staying with extended family over the past few weeks because they were simply terrified to go back to the scene of the shooting. Jasmin told Action News, "Now that I'm home, I can come outside." Marie Samba admitted that she actually feels sorry for the suspects. "To see all those charges on them. I just pray that they can get the strength because that's a lot. It's a lot on their moms and their dads," Marie said. Police in Montgomery County have arrested two people who allegedly opened fire on a Pottstown family's home last month. Meanwhile, the Sambas have hired a lawyer who says a lawsuit will be filed. Attorney Thomas Kenney said the fact that his client was bullied by classmates for months leading up to the shooting is unacceptable and he is putting the Pottstown School District on notice. "If it is determined that the two young men who were arrested for shooting at my clients home had any ties to the bullying that started within the walls of Pottstown Middle School, and continued for months, both on and off the school grounds, without proper intervention by school officials who seem to not care, our office will not hesitate to pursue any and all legal remedies," Kenney said. As the investigation continues, Fountain and Bevins remain behind bars on $500,000 bail. Pottstown home riddled with bullets, family says teenage bullies are to blame. Walter Perez has more on Action News at 6 p.m. on March 26, 2019.